Jacquelyn Gleisner, Scroll IX, 2016. Ink, gouache on paper, 3.5 by 30 feet. Jacquelyn Gleisner is fascinated by textile patterns, the expansive and cyclical nature of time and space, and the relationship between fragility, vulnerability, and strength—especially in the context of feminism. 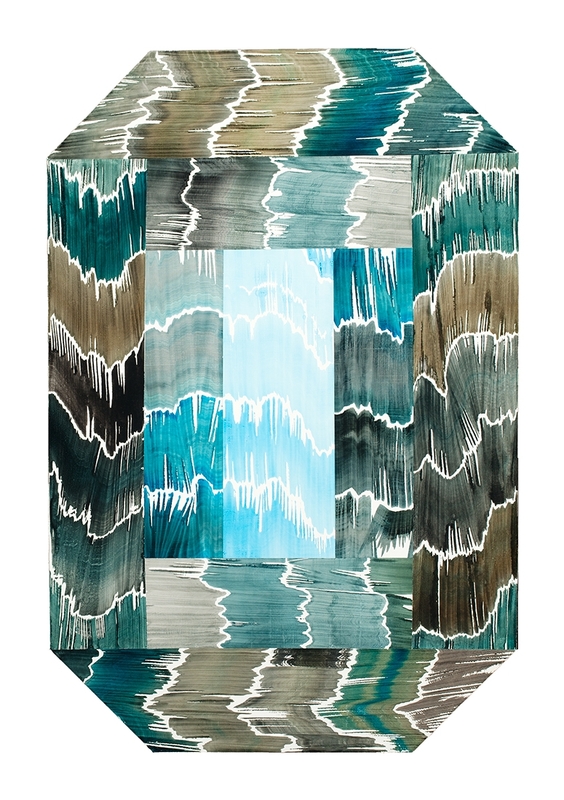 She works primarily with gouache, creating colorful repeating designs on 30-foot-long rolls of paper which she calls “scrolls.” More recently she’s been painting depictions of detailed multicolored knots on small sheets of paper. Her large scale painted scrolls reference weaving patterns that in the mind’s eye could continue into space forever. All of her scrolls have been removed from the gallery setting and placed into outdoor environments—some of them hung like banners or flags from the sides of buildings, others left on the ground. Many of the scrolls have been cannibalized and metamorphosed into new works of art. Jacquelyn’s detailed knot drawings, with no beginning or end, are also tied to her interest in the infinite, while also exploring the longstanding importance of the knot both as a universal symbol and a word containing multiple meanings. 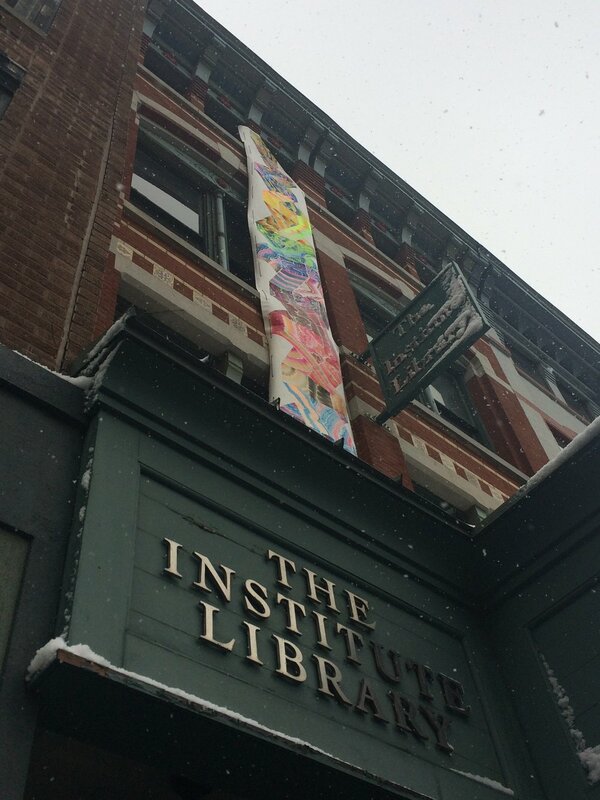 Jacquelyn Gleisner's Scroll I, 2017 after hanging down the front of The Institute Library and braving the elements in New Haven, CT for two weeks. Jacquelyn Gleisner, Ouroboros, 2017. Dimensions variable. Mazmanian Art Gallery, Framingham State University, Massachusetts. February 21 - March 24, 2017. Jacquelyn Gleisner, Knot October 17th, 2017, gouache on paper, 8 by 12 inches. An example of Jacquelyn's most recent work in which the knots have evolved into variations on DNA strands. Jacquelyn Gleisner, Log Cabin, 2015. Ink, gouache on shaped canvas, 36 by 54 inches (outside dimensions).